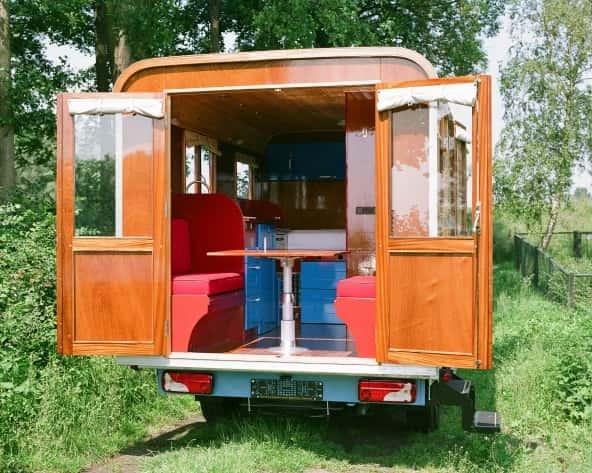 The SleeperTonke Field I by Tonke Campers is an incredibly versatile accommodation unit with an incredible amount of storage. It has a large kitchen and shower and with a living area that converts into a single bed it offers sleeping accommodation for 3 people. 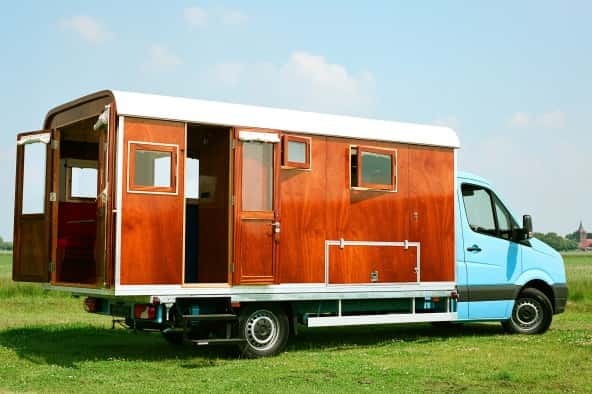 It also comes with a vertical ‘garage’ which can accommodate 3 bikes or a scooter if requested! There is of course cupboard space provided for clothing. Tonke has also managed to provide extra under-bed space for the storage of outdoor furniture. The design brilliance doesn’t stop there though. The Feildsleeper I can be unloaded from the vehicle in 10 just minutes! 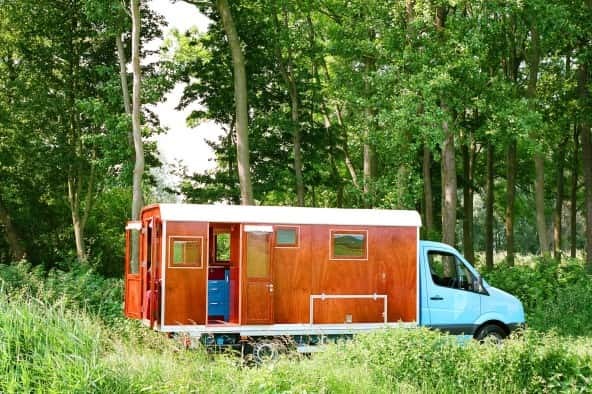 Enabling you to use the vehicle even when you’re not camping, this also means you can place the unit in your yard to be used as guest accommodation. It also worth noting that with sturdy wheels fitted the unit can be moved around firm surfaces. Tonke also offers you the option to have an optional hydraulic lifting system fitted so you can set it have a tiny 4inch step to the ground and even drive it into a garage.